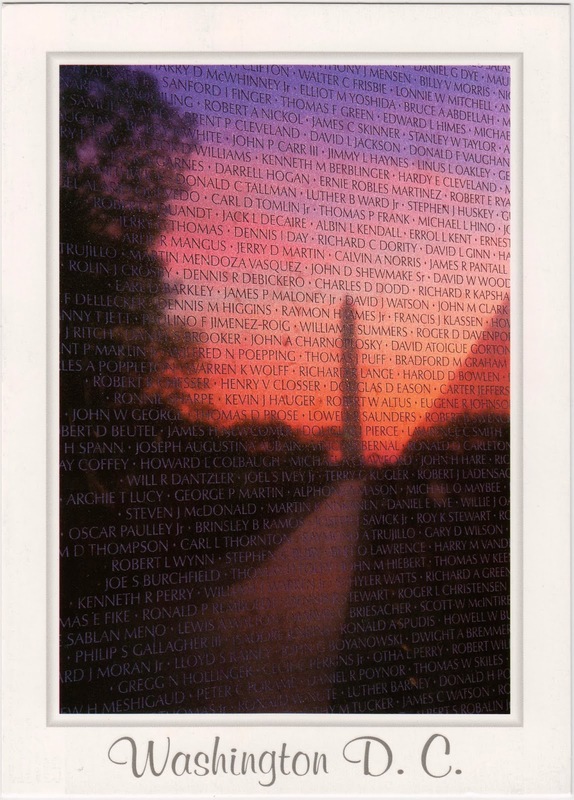 In this Veterans Day 2013, we feature postcard US-2475557 to Portugal that shows the Vietnam Veterans Memorial Wall with reflection of the Washington Monument in Washington D.C. The Vietnam Veterans Memorial honors U.S. service members who fought in the Vietnam War, service members who died in service in Vietnam and the South East Asia, and service members missing in action during the War. In Las Vegas, there will be the 2013 Veterans Day Parade in downtown at 10 a.m on Monday, November 11, 2013. The parade is said to be the largest Veterans Day parade west of the Mississippi River, featuring active duty and reserve service members, veterans groups and local organizations.